It is with great sadness that we report that Gregg Leakes is battling cancer. 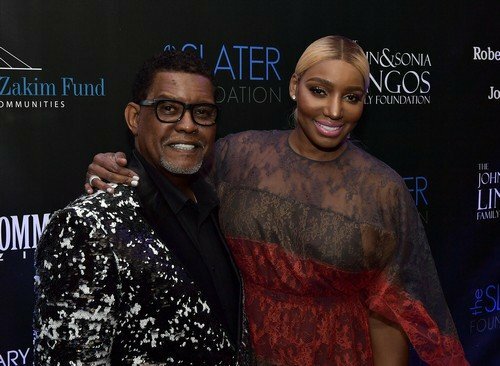 NeNe Leakes took to instagram to share the sad news and let everyone know they will be fighting hard to get Gregg healthy again. Gregg has been plagued with health problems over the last year. On last season’s Real Housewives Of Atlanta we saw him undergo heart surgery. In May he returned to the hospital. At this point, there are no details about what kind of cancer Gregg is dealing with or what stage. In addition to the support and love of NeNe, Gregg has been showered with gifts from concerned friends and even some of NeNe’s fellow Housewives. Including a bedazzled bible Marlo Hampton purchased specially from Neiman Marcus! We are so rooting for Gregg’s health and recovery. Many good and loving thoughts go out to the Leakes family. #YouGotThisGregg! Kandi Burruss Moving Kandi Koated Nights To Bravo!